BistroMD is a prepared meal delivery service that is all about providing meals that meet the requirements of a healthy diet. The company was founded by Dr Caroline Cederquist, a board-certified physician who specializes in bariatric medicine. Bariatric medicine is the study of how food is broken down in the human body and converted into fuel. 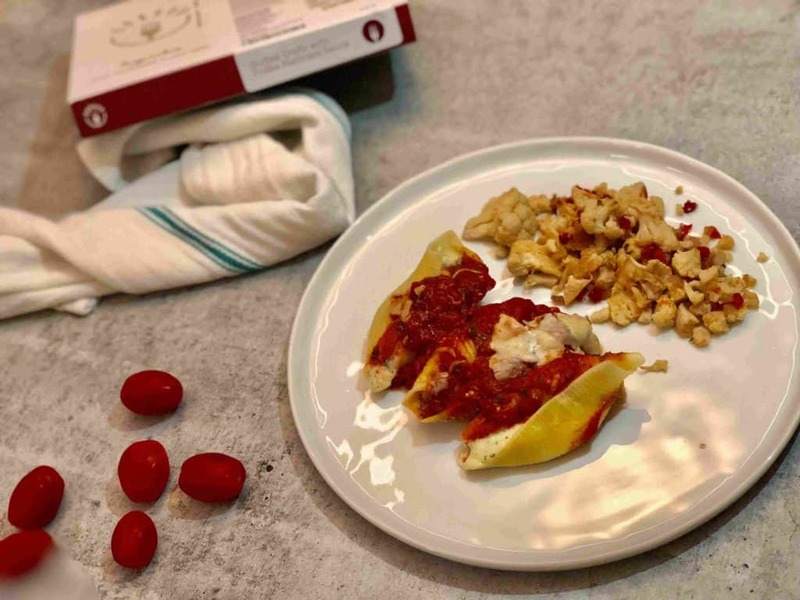 With BistroMD you can be sure that the delicious meals you receive will be nutritionally well-balanced so that you can meet your dietary needs and maintain a healthy lifestyle. Basically, BistroMD takes care of everything – they come up with the nutritious recipes, do the shopping, cook the meals and then deliver them! All you need to do is heat and enjoy! Busy people who want to reduce the time that is spent in the kitchen but who also want to eat well-balanced, nutritious and delicious food. People who are following a specific diet and who need help maintaining this without all the fuss – gluten-free, diabetic, vegetarian etc. BistroMD has a rotating menu of over 150 delicious meal options that are all ready to eat in five minutes or less. All meals have been designed by medical experts and cooked to perfection by professional chefs. BistroMD has a large team of registered dietitians and nutritionists who work together to create and maintain the huge menu that is offered by BistroMD. They are constantly adding creative and delicious meal options to the menu. Each new meal is exciting and different, giving you the chance to enjoy the tastiest and healthiest meals available! With BistroMD you will find that there is genuinely something for everyone – pasta, seafood, Asian cuisine, gourmet soups and stews, southwestern flavor and more. Their menu supports several special dietary needs such as vegetarian, low-calorie, gluten-free, diabetic and more. 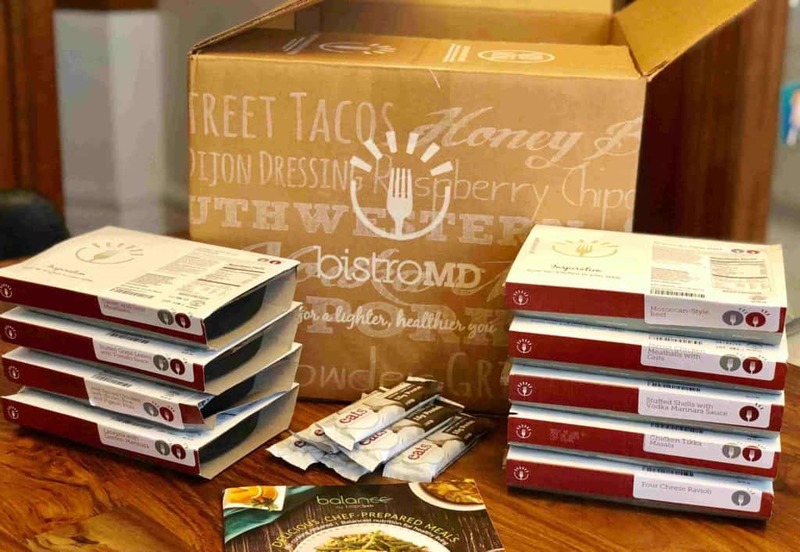 As always, our meal kit review team tries each end every company, including BistroMD. We were really pleased with what we received! The meals are delicious and satisfying, even though they are focussed on being lean. The portions are quite generous as well! 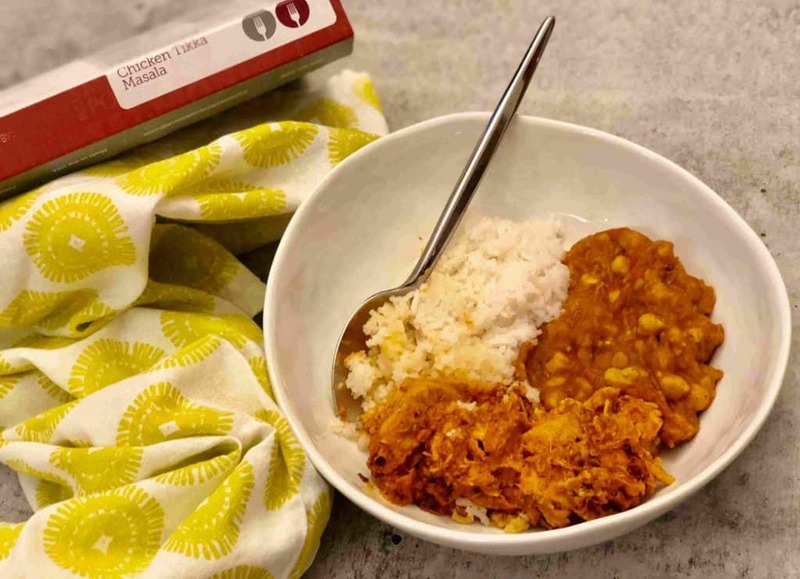 Honestly, in most cases it felt just like a homemade meal which came as no surprise, since we know that all the BistroMD meals are cooked in small batches by professional chefs in the company kitchens across the USA. The meals are not mass produced and made on an assembly line but prepared just as they would be if you were cooking them at home. Then each meal is immediately flash frozen and sent to you! 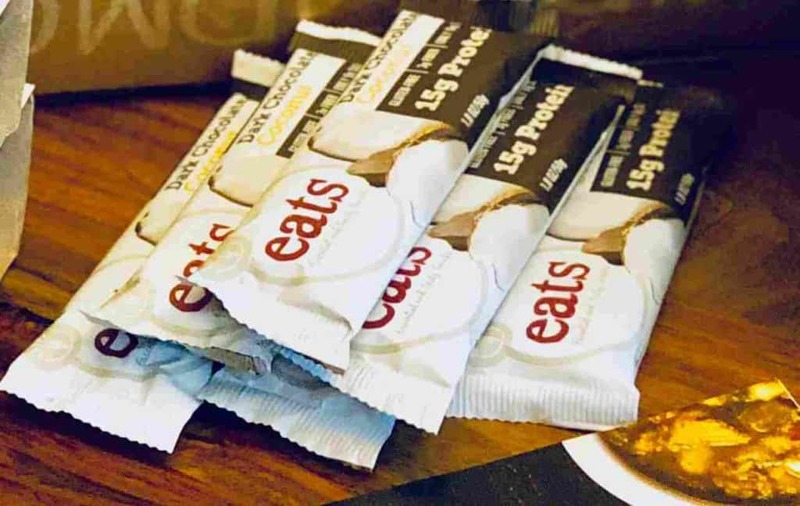 We also must mention the ‘Eats’ dark chocolate and coconut bars supplied by BistroMD as a healthy sweet snack – they were so good and felt quite decadent! One of the best we have tried. We strongly recommend trying these out! The BistroMD box is very well organised. 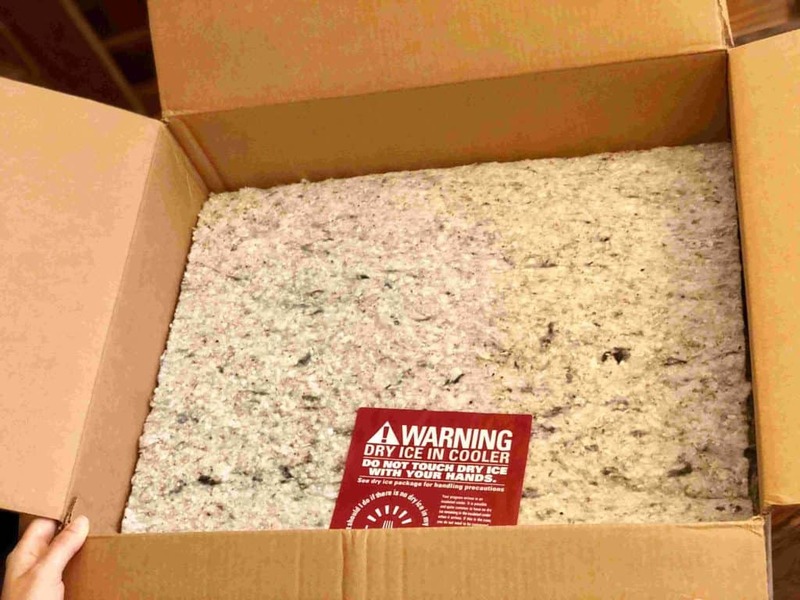 The box is made with insulating material on the inside, and the contents are packed with a large amount of ice on both the bottom and the top of the box. Our box was left outside of the freezer for a few hours after receiving it, and all the meals inside were still very much frozen when we opened our delivery. Each meal is wrapped in its own branded sleeve, with includes the name of the meal, heating instructions and nutritional facts of the meal. Super convenient! BistroMD is committed to preparing each meal using fresh, natural ingredients. You are promised to never get a meal that contains trans fats, added msg or freeze-dried foods. Registering to BistroMD is very easy. You simply choose one of the four plans, register and start selecting your weekly meals. When it comes to managing your subscription, you can enter your personal homepage ‘My Bistro’ at any time. From here, you can make any changes that you like that include swapping one meal for another, changing your plan and cancelling the account. We were pleased to see that there are no hoops to jump through in terms of cancelling your account, you simply click the cancel button in your account and that’s it! BistroMD is a perfect solution for busy people who do not have time or energy, but who would still like to lose weight or easily maintain a healthy lifestyle. It is also a wonderful solution for people who need to follow a specific a specific diet such as gluten-free, diabetic etc. BistroMD requires no cooking at all – the meals are delivered frozen and you simply need to heat and eat the meals! On top of all that the meals from BistroMD are also super fresh and taste delicious.